Do you like the video format alongside pictures? Love the combo of sweater and the shoes! Pretty! 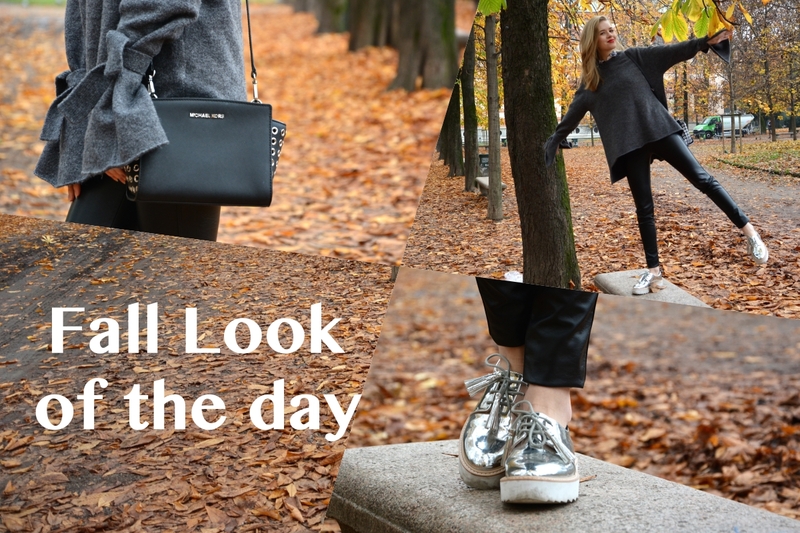 Loooove this autumn outfit, great pieces! Love this look! The sweater is fabulous! Gorgeous! That sweater is gorgeous! I love the color & sleeves. I'm also loving your shoes. I do like the video with the pictures. You have superb style. Really good outfit. I like it so much. I LOVE this look and the video is so fun! Need your sweater in my life, Carina! I love your slouchy sweater! 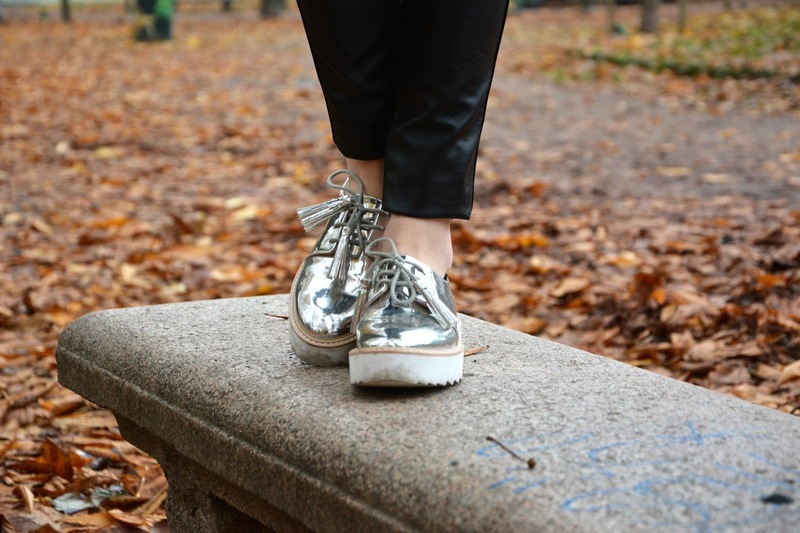 And your shoes are perfect for lighting up a cloudy autumn day! I also love fall, the colourful leaves always make me happy! This outfit is gorgeous, and that red lipstick is beautiful on you! I have the same sweater, and I really love the way you styled it here! Thank you for the inspiration and have a wonderful day! Love the outfit, nice shoes! These are such beautiful photos - I love all the fall colours and the autumn leaves. I can see why you will be wearing that sweater a lot - I love the sleeve details and I think the video was great! Love the sleeves on the sweater and your shoes are stunning. I agree! The orangy brownish nature makes everything look so cozy and beautiful! Love the sleeves of your sweater. Such fab shoes too. And lovely red lip shade...suits you. The sleeves are just so amazing ! Love it. I just love everything about this look especially the sweater and shoes, they are so original and different.